1. Online REST API. The conversions are performed through our website (you call the API, we perform the conversion and return the result). This can be used from any platform and programming language using REST API calls. The free trial for the online API has no functional limitations. It is only limited in time (7 days). a) Full commercial PDF library: https://selectpdf.com/pdf-library-for-net/. For this we have a full featured 1 month free trial. b) Free community edition: https://selectpdf.com/community-edition/. This is free to use forever (for both personal and commercial applications). It has some limitations (less features than the full commercial library), the most important being the fact that the html to pdf conversion is limited to 5-6 pages. 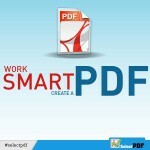 Feel free to contact us if you need more clarifications about SelectPdf products.